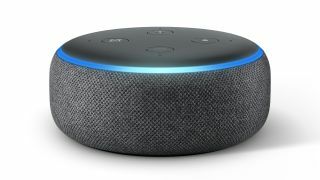 Amazon spring sale: Buy 3 Amazon Echo Dots for just $70 | What Hi-Fi? The deal lists three Echo Dots for $69.97 before tax. Don't want three of them? There's also $10 off the price of one, bringing it down to $39.99. The Echo Dot is Amazon's smallest smart speaker. With a typical price of $50, it gives you hands-free access to Alexa, Amazon's smart personal assistant, so it can control other smart home devices like lights and thermostats, play music, answer questions and tell you the news and weather. With Amazon's current deals, the Echo Dot comes bundled along with other devices too. The smart speaker currently comes free with the Ring Floodlight Cam security camera, Ring Video Doorbell 2 and the Ring Stick Up Cam. Amazon also has deals on more of its own devices. There's $10 off the price of the Fire TV Stick 4K with Alexa Voice Remote, $40 off the Fire HD 10 Kids Edition, $10 off the Fire TV Stick with Alexa Remote and $40 off the Fire TV Cube. You can see all the deals here.